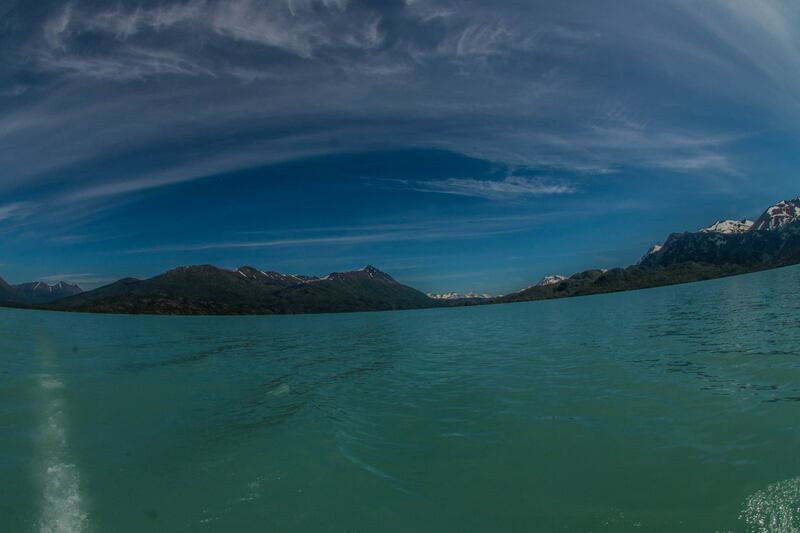 We are all happy to be back on the water and enjoying the beautiful Alaskan summer. The joke is the minute the river opens summer ends and it starts raining, but not this year! The Sockeye Salmon are starting to come in, not in high numbers quite yet, but there are out there and we’ve been catching. It also means that there are just that many more that will be showing up here in the next few weeks. Father and son spending the day together. Bringing home the Sockeye Salmon! The Rainbow Trout fishing has been producing as well with plenty of action for everyone. 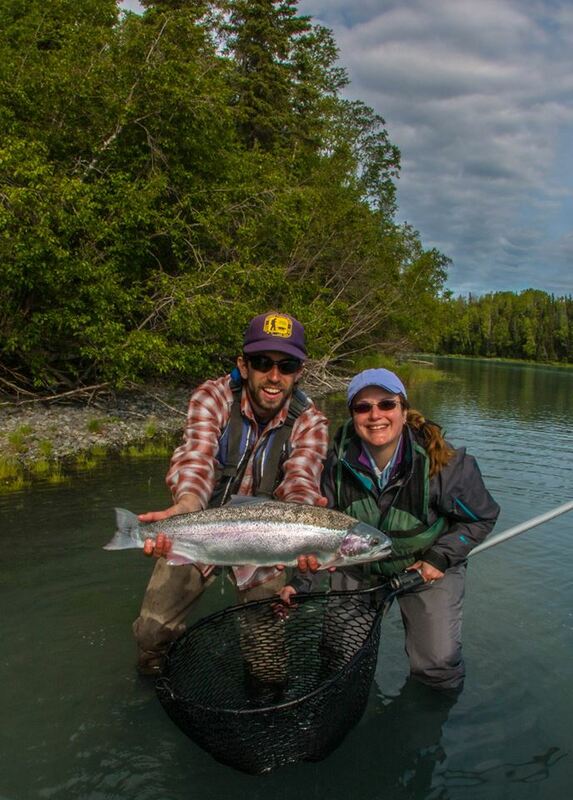 Mike Evans with Karen and her beautiful Rainbow Trout! Between the Sockeye Salmon coming in and the Trout fishing, it’s a great time to be out on the water. Come on down, enjoy the sun and let’s get after it! 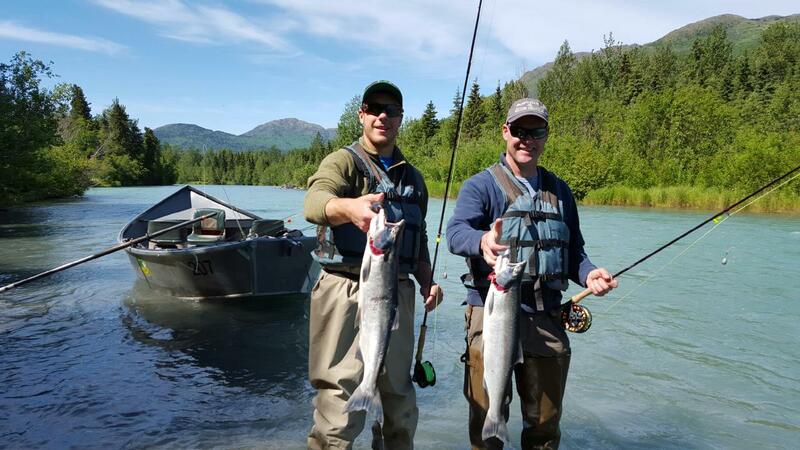 This entry was posted in River Report and tagged Alaska, Cooper Landing, fishing, fishing guides, Fly fishing, kenai river, rainbow trout fishing, Salmon, Sockeye Salmon on June 14, 2015 by jenharpe.